Yesterday, the citizens of Illinois (including this citizen) voted in a primary election for important statewide offices, including the office of governor. I won’t comment on the nominees from the two major parties, an incumbent populist who has a long career in public service and a political newcomer who made a fortune in the venture capital business. I trust both have good intentions, and I believe both want to do what they believe is needed to help Illinois rebound. 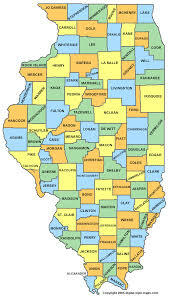 In listening to acceptance speeches last night, this was a common thread: Illinois needs jobs. The unemployment rate here, currently at above 8 percent, is among the highest in the nation and the highest in the Midwest. As regular followers know, The PRDude blog was started in 2009 as way to chronicle my search for “that next great job in public relations.” Along with commenting on “the lighter side of public relations, marketing, communications and other stuff,” I frequently comment on the employment market and what it’s like to seek work during these challenging economic times. Below are lyrics for a song — you know I write songs, too, don’t you? — that was inspired by my most recent job search. The title is a line from The Book of Common Prayer. Do you hear me St. Theresa? Should I sound a trumpet blast? Hopefully, this song, which has a ska beat, will resonate with those who are seeking work. Hopefully, I won’t be inspired to write a song like this again. This entry was posted in Uncategorized and tagged Illinois, Illinois governor race, job search, public relations, public relations blogs, public relations jobs, Unemployment in Illinois. Bookmark the permalink.